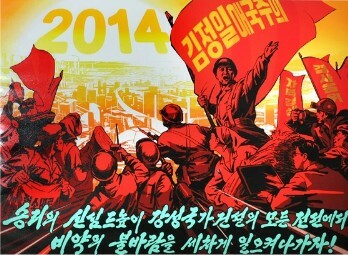 The Workers' Party of Korea Publishing House produced poster "Let us thoroughly carry out the militant tasks set forth in the New Year Address for this year!". 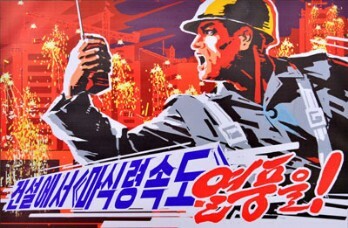 The poster depicts a worker calling for opening up a heyday in the revolution and construction by stepping up the heroic advance full of confidence in victory and enthusiasm in this hopeful year. 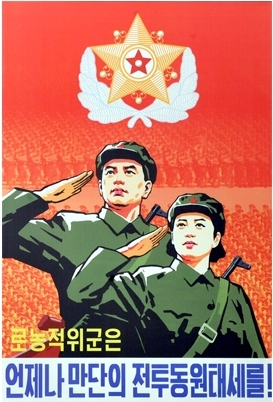 Letters "At a Go", "Single-minded Unity" and "Devoted Implementation" are seen on the red flag depicted on the poster. It calls for carrying out the tasks set forth by Marshal Kim Jong Un in his historic New Year Address. 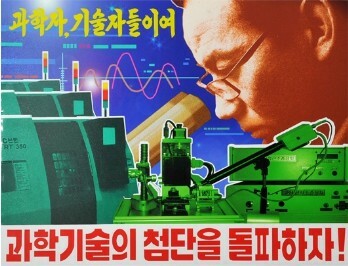 This fully reflects the faith and will of the Korean people to dynamically advance, holding aloft the torch of innovations. 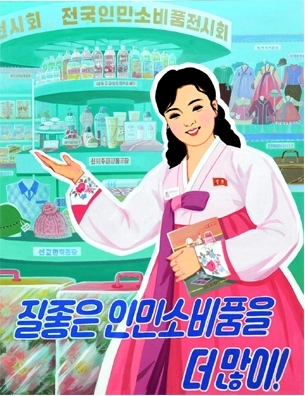 The DPRK produced new posters to call for waging a dynamic movement for national reunification. 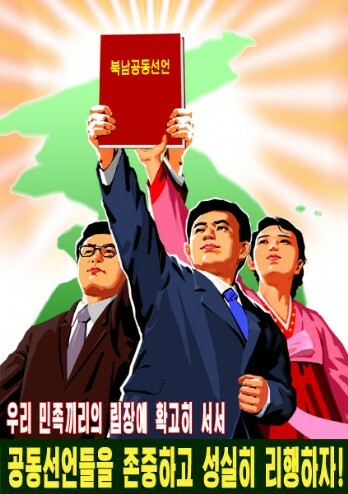 Posters "Let us make a new advance in the movement for national reunification this year, true to the behests of the great leader and general!" 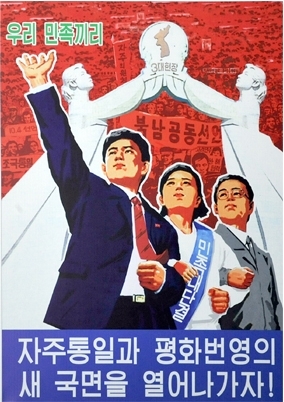 and "Let us usher in a new phase of independent reunification, peace and prosperity!" 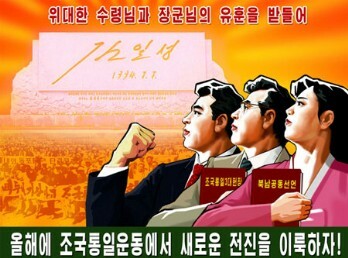 reflect the strong desire and resolution of the Korean people to glorify forever the undying exploits performed by President Kim Il Sung and leader Kim Jong Il in accomplishing the cause of national reunification and wage a dynamic movement for national reunification. 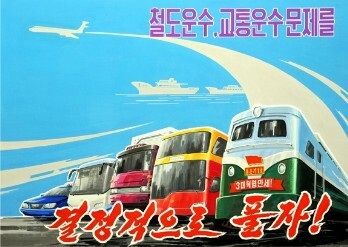 Posters "Let us respect and sincerely implement joint declarations from the firm stand of By Our Nation Itself!" 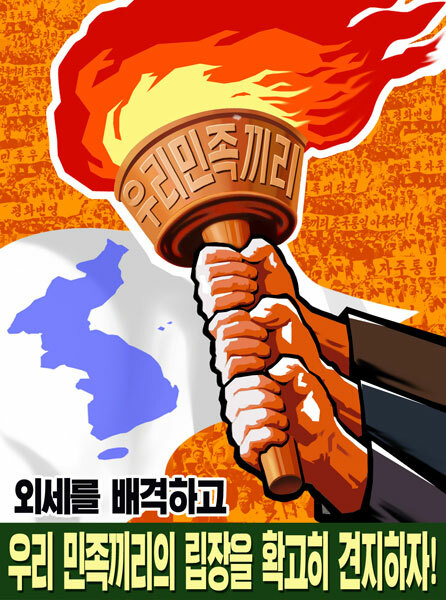 and "Let us reject foreign forces and steadfastly preserve the stand of By Our Nation Itself!" 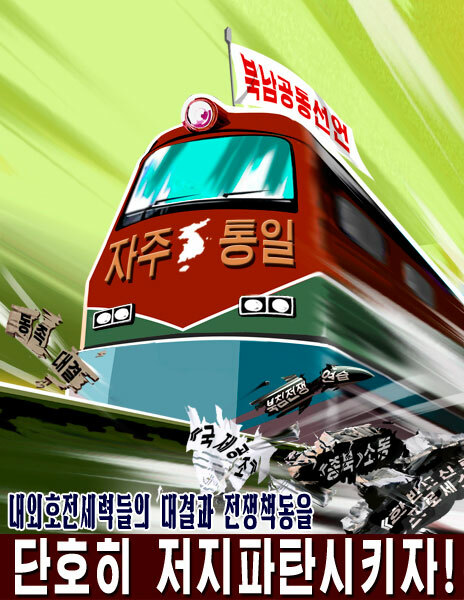 show the firm will of Koreans to achieve national reunification without fail in line with the three principles of national reunification and north-south joint declarations. 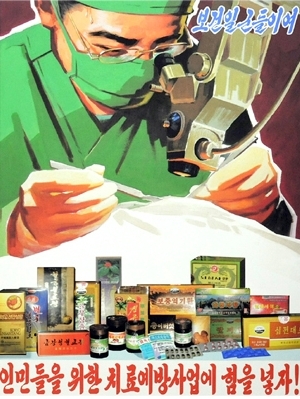 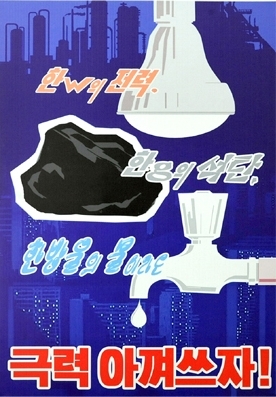 The Mansudae Art Studio, the Central Fine Art Studio and Pyongyang University of Fine Arts produced posters calling for ushering in a fresh heyday in construction. 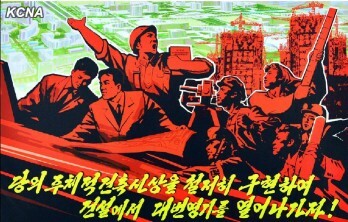 Posters "Let us usher in a heyday in construction by thoroughly carrying out the party's idea on Juche-based architecture! 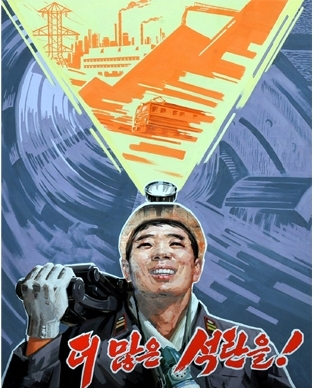 ", "Top priority to supply of equipment and materials necessary for construction! 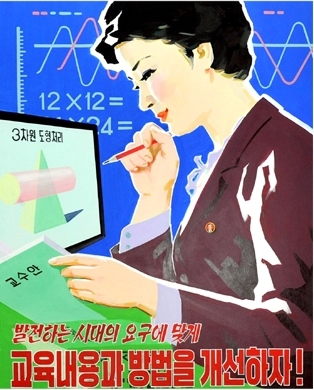 ", "Let's properly combine three factors of construction!" 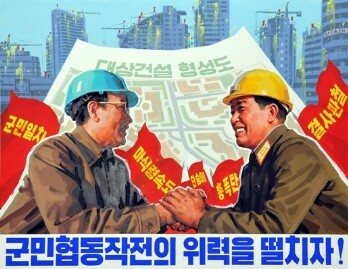 and "Let us apply national character and modern style to construction!" 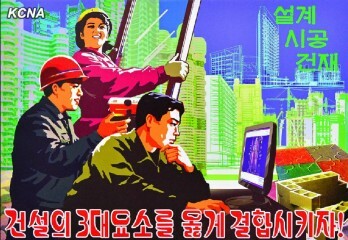 truthfully represent a high degree of enthusiasm of service personnel and people to bring about fresh miracles and innovations in construction. 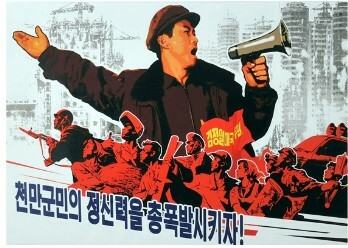 "Let's usher in a heyday in construction in response to the party's call! 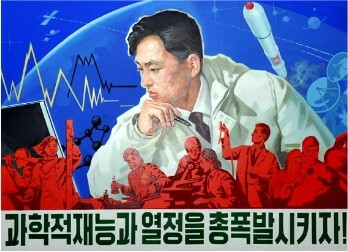 ", "For great innovations, leap forward in construction!" 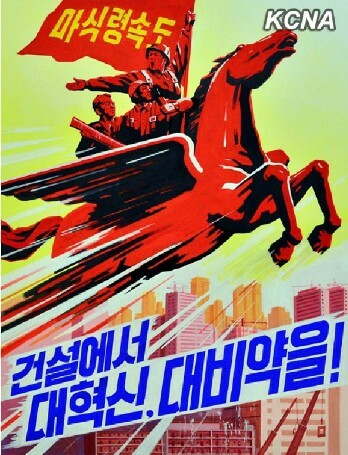 and "Raise strong wind of 'Masikryong Speed' in construction!" 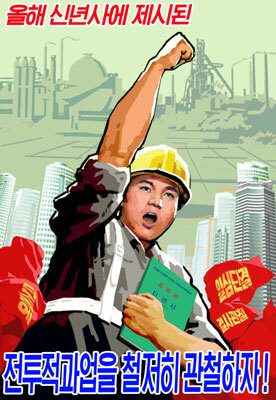 fully reflect the firm will of all service personnel and people to perform heroic feats in the on-going worthwhile great drive for construction. 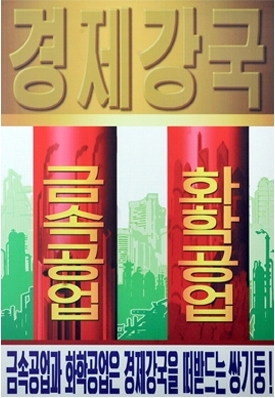 A poster of the 18th Kimjongilia Festival to be held on the occasion of the birth anniversary of leader Kim Jong Il (Day of the Shining Star) was produced. 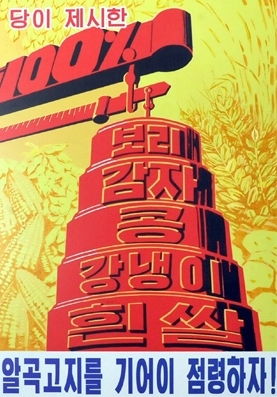 The poster has a slogan reflecting the faith of all service personnel and people "The great leader Comrade Kim Jong Il will always be with us" written in block letter. 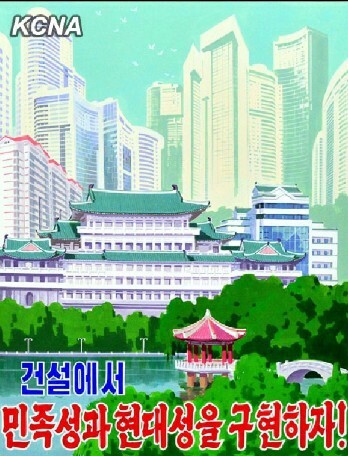 There are letters "The Day of the Shining Star" and the logo of the festival in the upper part of the poster and the letters "The 18th Kimjongilia Festival" and the venue and period of the festival in its lower part. 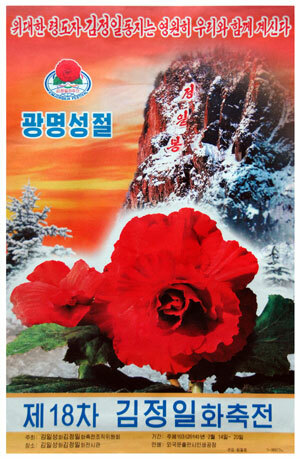 Depicted in its center are the Jong Il Peak and Kimjongilia in full bloom. Posters to arouse high political enthusiasm of the army and people of the DPRK were produced with the approach of the election of deputies to the 13th Supreme People's Assembly (SPA). 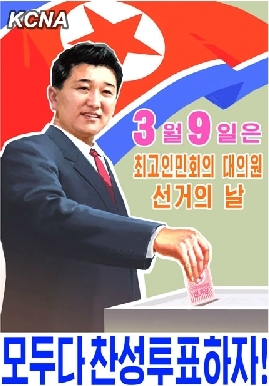 Posters "Let us all vote for deputies!" 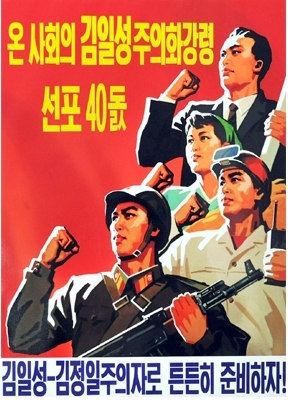 and "Let us all consolidate our revolutionary power as firm as a rock!" created by the Workers' Party of Korea Publishing House bear the letters "March 9 is the day of the election of deputies to the SPA". 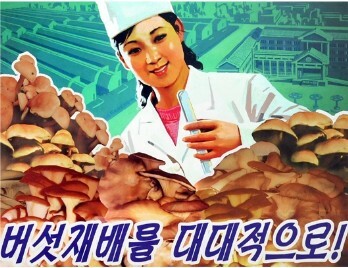 Depicted in the posters are a service person, worker, farmer and intellectual filled with pride and self-confidence of being the masters of the people's power and a person voting for deputies against the background of the national emblem and flag of the DPRK. 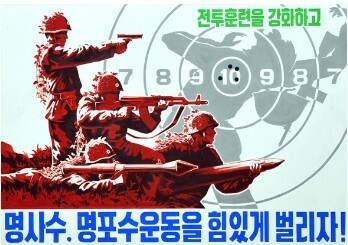 The Workers' Party of Korea Publishing House produced new posters encouraging the service personnel and people of the country to implement the party's policies. 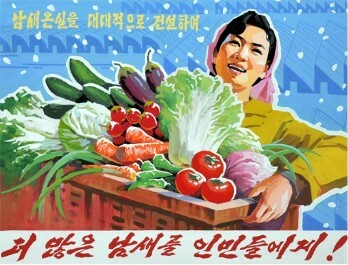 A poster "Let us bring about great surge in agricultural production this year!" 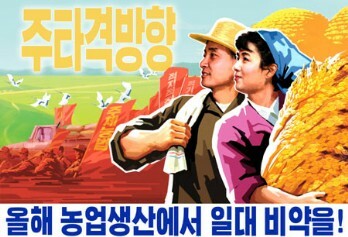 depicts agricultural workers full of confidence of a decisive boost in the agricultural production. 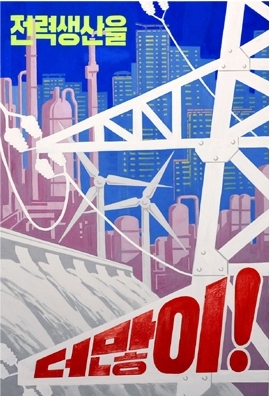 It bears letters "Main thrust" with the vast field of a co-operative farm in the background. 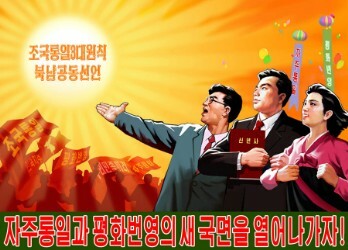 There is also a poster "Let us usher in a period of great prosperity in construction true to the leadership of the great party!". 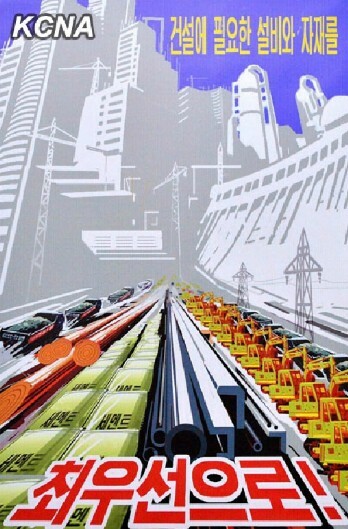 It reflects the ardent enthusiasm of the officials and workers in the field of construction to take the lead in bringing about a fresh florescence of civilization in the 21st century by effecting innovations in the construction. 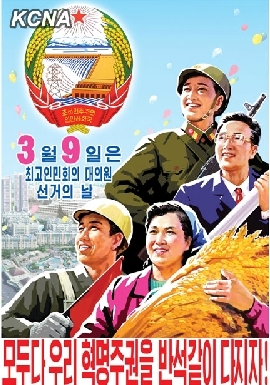 The DPRK produced posters on the 29th April Spring Friendship Art Festival to celebrate the birth anniversary of President Kim Il Sung (Day of the Sun). 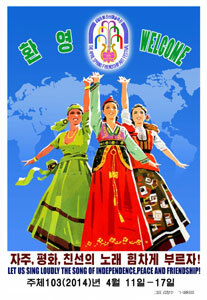 A poster depicts female artistes in diverse national costumes holding high the logo of the festival against the background of a globe and has the slogan "Let Us Loudly Sing Song of Independence, Peace and Friendship!" 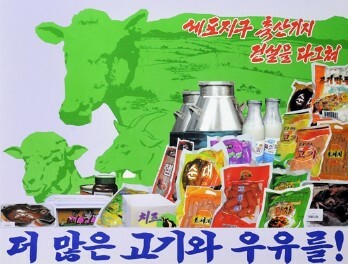 representative of its idea. 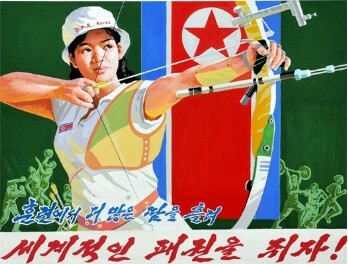 Among the new posters are those portraying prestigious art troupes and singers, dancers and instrumentalists enthusiastically displaying their high skills and acrobats performing stunts requiring high technique. 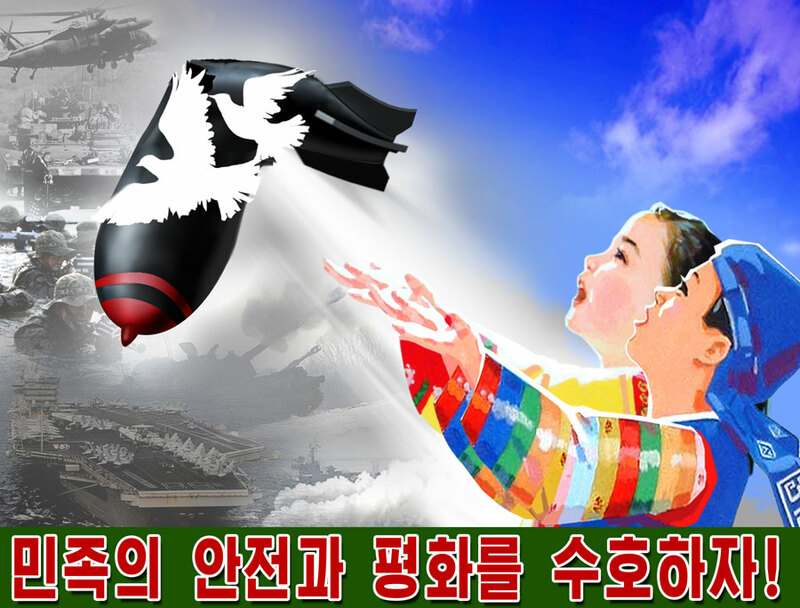 Those posters truthfully represent the stages of the festival on which foreign artistes will sing with profound reverence for the peerlessly great persons of Mt. Paektu for their undying feats for the cause of global independence. 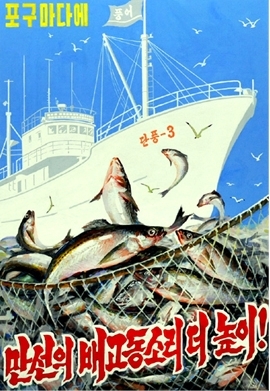 A poster for the 16th Kimilsungia Festival was produced. 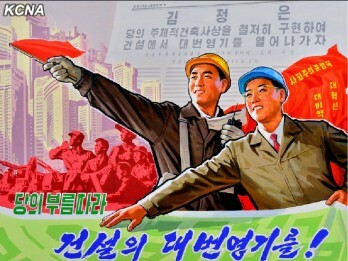 The festival is to be held in Pyongyang on the occasion of the birth anniversary of President Kim Il Sung. 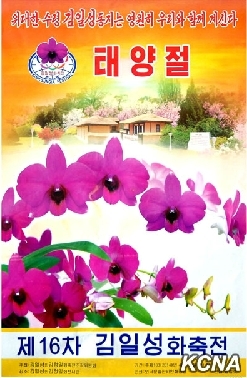 The poster depicts the President's old home in Mangyongdae amid flowers and beautiful Kimilsungia in full bloom against the background of sky bright with glow. 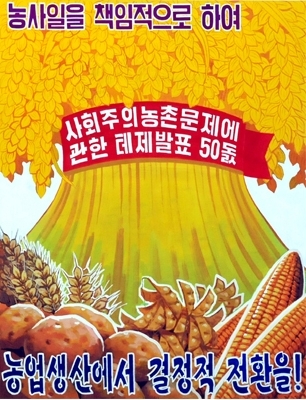 Seen on the poster are letters reading "The great leader Comrade Kim Il Sung will always be with us", "Day of Sun", "16th Kimilsungia Festival" as well as a festival logo, venue and period of the festival.